It is finally starting to feel like fall. This Saturday, October 29th we will have a guided hike at Indian River Park, which is spruced up after our Adopt-A-Park event last week. There is also still room to join our tour of New Earth Farm on Saturday, November 5th. Free for our members, this tour will visit this sustainable and educational farm in Pungo; we’ll visit their educational gardens to talk about sustainable agriculture, see their sustainable building and energy use techniques, learn about their farm animals, and visit other areas of the 21 acre working farm. RSVP now by emailing info@friendsofindianriver.org. Vice-Mayor Rick West will be the guest speaker at our next meeting on Thursday, November 17th, to address questions relevant to our community. The following Saturday, November 19th, we'll hold an Adopt-A-Road Cleanup along Indian River Road. And mark your calendars .... Thursday, December 15th is our, not to be missed, Annual Holiday Party. This is our end of year celebration to recognize volunteers and accomplishments, and socialize. Please bring a desert to share and join the festivities. We'll have a silent auction, so you can finish some Christmas shopping too. 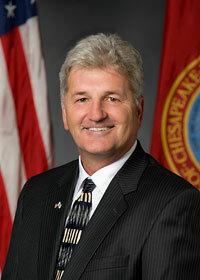 Vice-Mayor Rick West will present at our next meeting and address questions relevant to our community. There will be light refreshments and door prizes afterwards. Please also consider bringing a donation of non-perishable food items for the Oaklette United Methodist Church food pantry to the meeting this evening. Meet at side parking lot of Indian River Post Office, 3810 Indian River Road, Chesapeake, for our next quarterly cleanup along Indian River Road. This will help to spruce up the area, collect trash that will otherwise get washed into the river and impact wildlife, and give us the opportunity to interact with residents and businesses along Indian River Road. The city will provide garbage bags and orange safety vests. We'll have water and a few snacks available. Please wear closed-toe shoes, a hat and bring work gloves and other items that may be useful. Participants under 18 years of age must have adult supervision. This will be our end of year celebration to recognize our many accomplishments, recognize our volunteers, and socialize. Please bring a desert to share and join the festivities. We'll have a silent auction, so you can finish some Christmas shopping too. Please also consider bringing a donation of non-perishable food items for the Oaklette United Methodist Church food pantry to the meeting this evening. Even if you have not been to a meeting in a while or if this would be your very first meeting, we encourage you to come out and partake in the merriment. 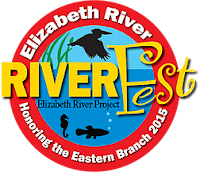 2016 RiverFest is rescheduled for Sunday, November 20th at Paradise Creek Nature Park in Portsmouth. Stop on by for a fun filled afternoon of family oriented, river friendly activites and also an organized walk across the Jordan Bridge. See http://www.elizabethriverfest.org/ for all the details. Congratulations to Wickers Crab Pot for receiving an Honorable Mention in the Chesapeake Business Beautification Award.